Unnamed small caves off in the woods near Ot Bay's. Bristol Caverns. Tame & boring. Quarry cave at Steele Creek. I've pushed back through the dirt a few feet. Whatever cave we went to at Cedar Creek. 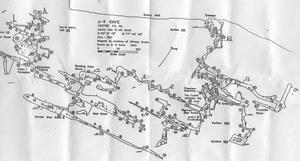 Lots of fun at the time, always wished I went back and did the bit where you plunge underwater to the rest of the cave. J4 in Pennsylvania. Big sprawling cave with lots of tight crawls, (including the initial crawl in through a 2 foot pipe, and "the birth canal"), and some interesting climbs and traverses. At least one really gorgeous room. I've mirrored a map of it from nodivisions. Coonscat in Pennsylvania. A muddy hole in the bank next to a road, that turns into a suprisingly fun (if muddy all the way) cave. 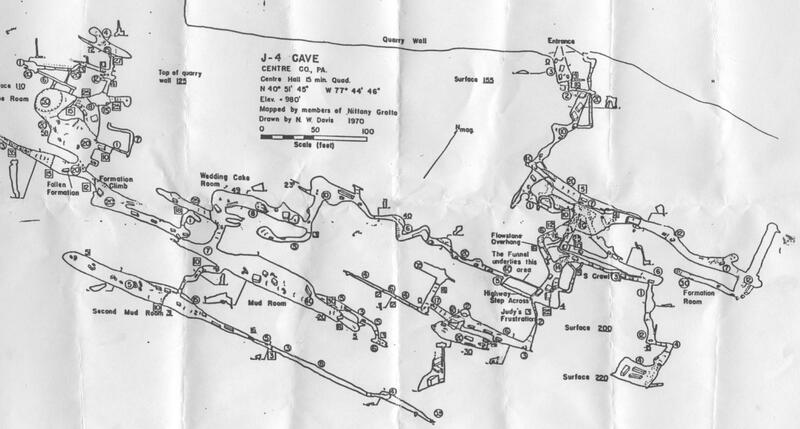 That unnamed cave near Margaret Fierabend's in Bristol that they destroyed most of to make a Wal Mart. Talgua Cave (aka the Cave of the Glowing Skulls) in Honduras, near Catacamas. Only saw the tamed part, including a glimpse up at the burial chamber. Visited with a 60+ year old Nun, to add to the crazy Monkey-Island-ness of it all.